His “anti-Semitism” caused Marx a great deal of intellectual grief. IN Germany the 1840s, leading up to the abortive liberal revolution of 1848, were years of frantic intellectual activity, in which were sown the seeds of all major twentieth century revolutions, both Communist and Fascist. 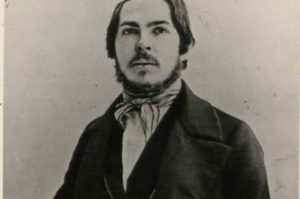 One of the great figures of this period was Bruno Bauer (pictured), a philosophical firebrand who was the highbrow counterpart of the street agitator. That Bauer was a radical is beyond dispute. But a radical what? In more than one way his radicalism foreshadowed the ideas and suggestions put forward by the young American philosopher Richard Swartzbaugh. Bauer studied under Hegel, ultimately winning a position as lecturer in theology at the University of Berlin. Partial to Hegelianism, he advocated a defense of Christianity from the standpoint of reason, which raised the hackles of most of his colleagues, who put all their religious money on faith. Inevitably, the academic brouhaha got tangled up in Prussian politics. It so happened that in the 1840s Prussia’s rulers and their ministers had some fixed and heady ideas about Christianity. Contrary to expectations, their theology was not the high church dogma of an Aquinas or a Niebuhr, but a low church, populist and fundamentalist faith, closer to Pietism. A few cabinet ministers, however, backed the high theology of Hegel and Hegel’s followers, among whom was Bauer. When Bauer’s friend, the Minister of Education Altenstein, died, his low church successor dropped the lecturer in theology from the state payroll. 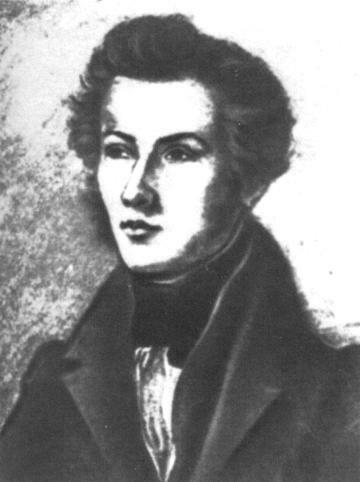 The occasion of this firing was a critical point both in Bauer’s life and in the history of the leftist Young Hegelians, who rose to Bauer’s defense. As the acknowledged leader of this group, Bauer made an open declaration of atheism and, by implication, a declaration of independence from the Christian state, which was also the Prussian state. The state promptly declared war on Bruno Bauer. After Bauer had lost his teaching post and Marx had given up hope of getting his own post through him, the two continued to correspond. One interesting exchange was provoked by Bauer’s article “Die Judenfrage” (The Jewish Question). Bauer saw Judaism as a typical religion and, as such, negative and harmful to human life and society. Not sparing the Jewish faith from the “radical criticism” to which he also subjectecd Christianity, he argued that Judaism enslaved men’s minds. Specifically, it made God the objectified image of man, which irreconcilably separated the creator from the created. The alienated divine essence then turned back against man and tyrannized him. Bauer also rapped Judaism for an egoism that atomized the social order in a further process of alienation. Bauer’s article “Die Judenfrage” was the stimulus for Marx’s “Zur Judenfrage,” which was mainly an answer to Bauer. Writing in such an abstract and involuted manner that the reader is never aware of the actual situation of the Jews, Marx gave the impression that he was using his co-racials merely as a framework for a general disquisition on religious and political institutions. Summing up Bauer’s work in a few words, “you Jews are egoists if you ask for special emancipation as Jews.” Marx then concerned himself with questions of theoretical politics. Characteristic was the statement which denied that Jews were a historical and racial group, “In Germany, where there is no political state, no state as state, the Jewish question is a purely theological one.” Marx next rebutted Bauer’s claim that the state in its existing national form was essential to human life. Another position attributed by Marx to Bauer, and then repudiated is that men must first be emancipated from religion before they can be freed from other forms of oppression. 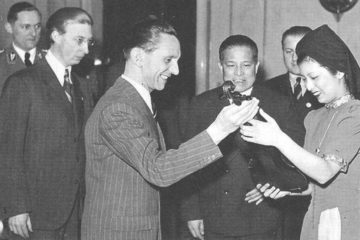 Bauer had made it clear that the oppressive state in Germany was specifically the Christian state. To overthrow the belief in Christian dogma would amount to rejecting the state’s spiritual hold over its citizens. What would remain is the secular state, in which men would forever be free. Implied here is the Hegelian position — and in many ways Bauer remained a good Hegelian — that the medium of freedom is the state and that the state in an important sense is freedom. Marx’s reply to this train of thought was consistent with the later ideas he shared with Engels. His central point was that political liberation precedes religious liberation. The state, he declared, should and must be overthrown by violent revolution, in the wake of which religious and spiritual liberation would follow. In a second article “Das entdeckte Christentum” (Christianity Exposed) Bauer was criticizing both Judaism and Christianity when he wrote that the latter “shuts off man from the great social interests of the world … from art and science, it destroys his social being, his social customs, and inter-human links, it makes him single and isolated, an egoist, and brings about the sacrifice of all human aims and ends.” Unlike later critics of the Jews, Bauer continued to view them as a purely religious community. He did say, however, that before they win political freedom they must throw off their religious slavery. 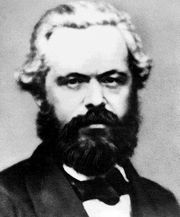 In the second part of “Zur Judenfrage,” Marx attempted to answer Bauer’s second and more explicit article on the Jewish question. Even here there was no indication that Marx had broken with Bauer to the extent of actually declaring him an enemy. Bauer was still his colleague. However, Marx now took a different tack. Christianity, he said, is simply refined Judaism, a Judaism pushed to its extreme historical conclusion. Let us by all means abolish Jewry, Marx declared, but first we must abolish the worst Jews of all, the Christians. By these he apparently means the “theological” Christians, perhaps the kind Max Weber depicted a half century later as the upholders of the Protestant Ethic. Shifting the argument from a racial to a theological perspective, Marx concluded in typical Marxist obscurantism, “The social emancipation of the Jews is the emancipation of society from Jewry.” In this way Marx tried to put himself in the advantageous position of collaborating with what was then Semitism, while at the same time releasing the Jews from any intimidation by society or the state. It is obvious from Marx’s laborious arguments that Bauer caused the Communist Founding Father great anxiety and uncertainty. Bauer’s line of attack was beginning to make an irritating dent in the ideology of his adversary. Published the same year, 1843, but resonating with a more pronounced hostility to Judaism, was Bauer’s “Die Faehigkeit der heutigen Juden und Christen, frei zu werden” (The Capacity of Today’s Christians and Jews to be Free). The article, while still rather theoretical, took a very pronounced stand on the differences between Christians and Jews. In theological terms, and without touching on the broader racial and historical considerations, Bauer asserted he stood with the Christians — at least insofar as they were “liberated” from their Christianity — and against the Jews. “Only in a sophistic sense, by appearances,” Bauer wrote, ” could the Jew remain in the life of the state. 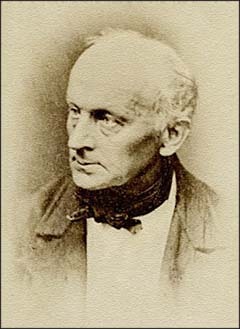 If he wished to stay a Jew, appearance would therefore be the essential thing.” Taking the position that Jews were sunk in tribalism, Bauer stated, “The Jew as Jew has to be faithful to religious duty, to the family, the tribe and the nation.” It was the Christians, according to Bauer, who, because they had so alienated and so abstracted their god, had risen to the utmost artificiality of spiritual life. Only by overthrowing their religion would they arrive at their own true humanity. This had already been accomplished by isolated Germans and in France by a whole intellectual movement, the Enlightenment (which Bauer, unlike so many German intellectuals, favored). A few points not found in the formal argument of “Das entdeckte Christentum,” largely nuances of tone and manner, are also worthy of mention. 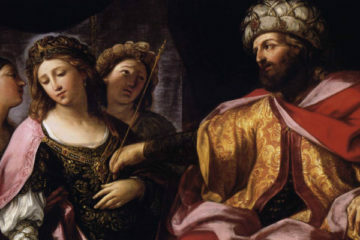 Bauer seems to slide quietly and unobtrusively from the purely theological and theoretical aspects of Jewry not only to its tribal but to its racial aspects. More openly, however, he evinces sorrow and sympathy for a Christian who is under the yoke of his religion, while admiring and applauding the ex-Christian freethinker. On the other hand, a Jew who remains a Jew in any sense ­– either theologically or by identification with the Jewish community — is in Bauer’s eyes infra dig. The more strident tone of Bauer’s third article had to produce a backlash from Marx, and from Engels who by now had become his collaborator. A mass of paradoxes and contradictions, Marx was a Jew by race, baptised a Lutheran and married to a Gentile of the petty nobility. Having proclaimed Communism the salvation of the world, Marx wanted to disassociate it from Jewish national interests. And yet in his character and aspirations he was a Jew in the deepest, most pervasive sense of the word. On the other hand, Engels was, at least in isolated statements in his letters, a crypto anti-Semite (see Instauration, May 1976). Taking all this into account, how are two men, one of whom is a conscious Jew and the other an occasional anti-Semite, going to reply to an article bursting at the seams with intellectual anti-Semitism, particularly when they are both anxious to avoid linking their political philosophy either with philo- or anti-Semitism? Here some remarks are in order regarding the status of the Jewish question and, by inference, anti-Semitism during the 1830s and 1840s in Germany. First of all, anti-Semitism was very current in all intellectual circles except in the Young Germany movement, where Jews had a dominant position. At the same time there was a widespread feeling that anti-Semitism was not polite and that any radical expression of it was not suitable for publication. There were, of course, exceptions to the rule, the principal one being Bruno Bauer. Significantly, even in his case he published his final comments on the Jewish question anonymously. In the three sections of the Die Heilige Familie (The Holy Family), where Marx and Engels subject Bauer’s article to detailed analysis, the coauthors’ level of emotion gradually rises to a shrill pitch. By their differing attitudes to anti-Semitism, Marx and Engels had their own private reasons for this growing hysteria. Nevertheless, neither reveals that this hysteria was brought about by Bauer’s references to the Jews as such. The authors at least pretended to be solely concerned with what they found most objectionable in Bauer’s thought, that is, the priority of religion over politics. Published in 1845, Die Heilige Familie was also an attack on most of Marx and Engels’s former friends, who were not only taken to task for their philosophical heresies, but anathematized and declared enemies of mankind. By now Bruno Bauer was one of these enemies. In the tradition of Communist polemics, Bauer was called every schimpfwort Marx and Engels had at their disposal — except for one. Despite all their pejorative salvos, they never once resorted to “anti-Semite.” Why this glaring omission? Was it because the use of the word would tend to ingratiate Bauer with the very people whom Marx and Engels were trying to win over? Was anti-Semitism at that time a term of praise as well as an insult? Nietzsche employed it to malign Wagner, only after having given vent to anti-Semitic utterances himself. Whatever the semantics of the situation, it seems necessary to repeat that anti-Semitism in those days was only in poor taste when its use was “excessive.” Wagner bordered upon excess in this connection. Having at that time not overstepped the limits, Bauer was still invulnerable. Die Heilige Familie does not need to be described at any great length, except to point out the rise in emotive phraseology. It is enough to say that Marx and Engels did quote Bauer directly when his words had a definite anti-Semitic ring. For instance: “The Jews, by exerting pressure against the moving forces of history, have called forth counter-forces.” But the gist of Marx and Engel’s attack was that Bauer had betrayed certain principles — not Jews but principles — which he had originally supported when he was a “progressive.” In contrast to Marx’s previous scholarly language, we now find such words as bornierte (insipid) to describe Bauer’s arguments. By and large Die Heilige Familie‘s approach to the Jewish question is, even after careful reading, a morass of confusion. It is pervaded by a spirit of uncertainty and internal contradiction that is obvious even in its most innocuous theoretical premises. Classic Audio -- What is Racism?